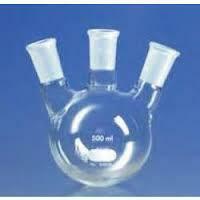 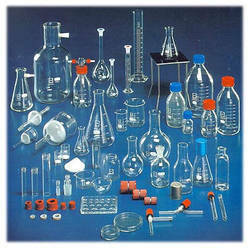 We are engaged in offering the best-in-class Laboratory Glassware for our appreciated clients. 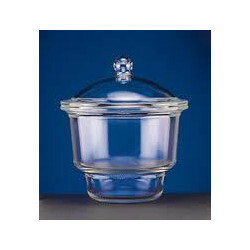 These products are manufactured and designed making use of high-grade raw-material and components, procured from the finest vendors in business. 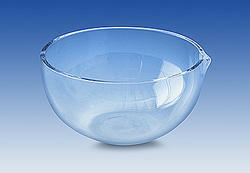 The products which we source out are of superlative quality with long durability and ensures high performance. 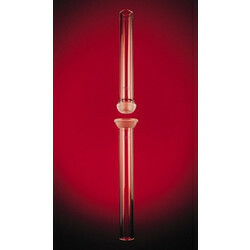 Designed to excellence, the products we supply are precisely designed. 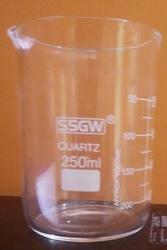 We are manufacture, "SSGW", Brands glassware. 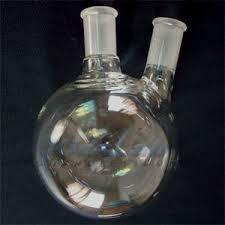 Separating funnels with stopcock, interchangeable stop per, Conical/Pear Shape with plain stem. 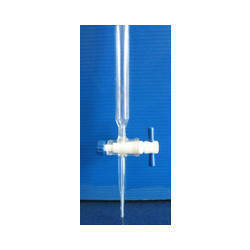 We are manufacturer, "SSGW", Brands glassware Dropping Funnel, also known as Dropping Funnel or colloquially Dropping funnel, is a piece of laboratory glassware used in liquid-liquid extractions to separate (partition) the components of a mixture between two immiscible solvent phases of different densities. 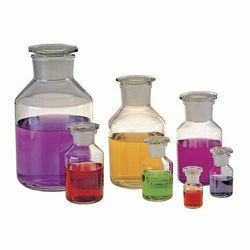 Typically, one of the phases will be aqueous, and the other a non-polar lipophilic organic solvent such as ether, MTBE, dichloromethane, chloroform, or ethyl acetate. 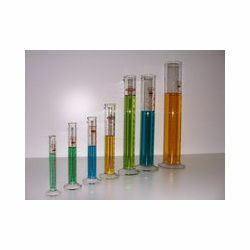 Most organic solvents float on top of an aqueous phase, though important exceptions are most halogenated solvents. 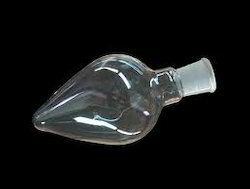 A Dropping funnel has the shape of a cone surmounted by a hemisphere. 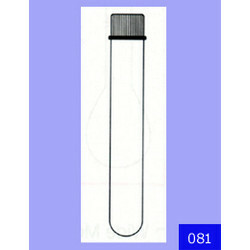 It has a stopper at the top and stopcock (tap), at the bottom. 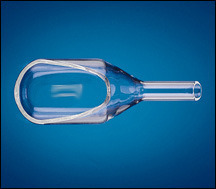 Dropping funnels used in laboratories are typically made from borosilicate glass and their stopcocks are made from glass or PTFE. 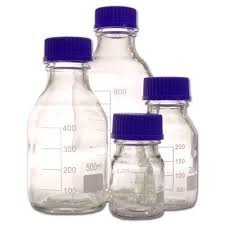 Typical sizes are between 50 ml and 3 L. In industrial chemistry they can be much bigger and for much larger volumes centrifuges are used. 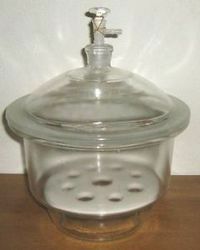 To use a Dropping funnel, the two phases and the mixture to be separated in solution are added through the top with the stopcock at the bottom closed. 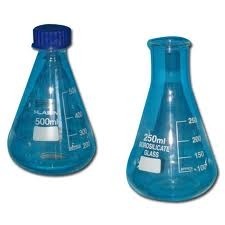 The funnel is then closed and shaken gently by inverting the funnel multiple times, if the two solutions are mixed together too vigorously emulsions will form. 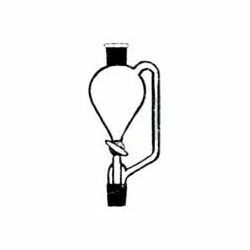 The funnel is then inverted and the tap carefully opened to release excess vapor pressure. 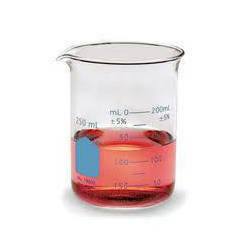 The Dropping funnel is set aside to allow for the complete separation of the phases. 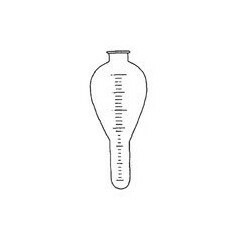 The top and the bottom tap are then opened and the two phases are released by gravitation. 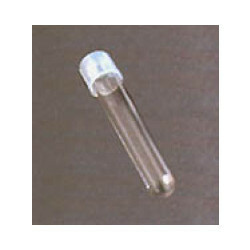 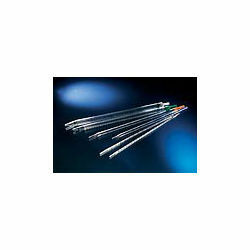 Glass Pipettes are used to delivery a known quantity of solution to a vessel. 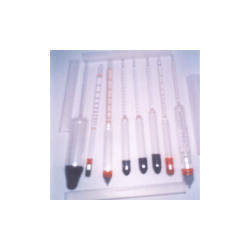 Pipettes are either of the classical style (glass) or digital. 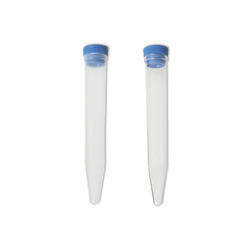 Tips often are sold separately from the pipette or pipettor. 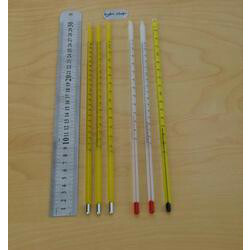 All products with any of the selected attributes will be returned as matches. 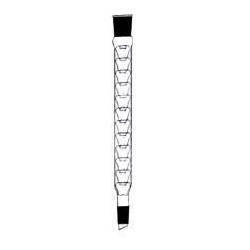 Leaving all boxes unchecked will not limit the search criteria for this question, products with all attribute options will be returned as matches. 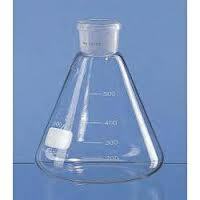 We manufacture SSGW Brand Conical Flask with Teflon liner screw cap. 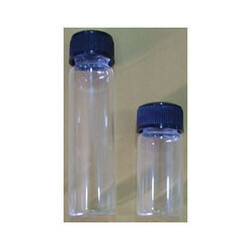 Capacity from 25ml to 2000ml. 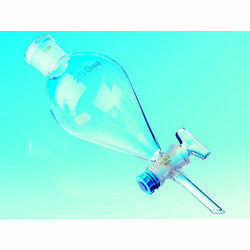 We manufacture SSGW Brand Pear Shaped Flask single Neck capacity from 5 mk to 100ml with socket. 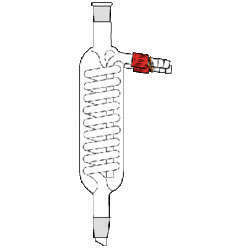 We manufacture SSGW Brand Flask Buchner Filtration. 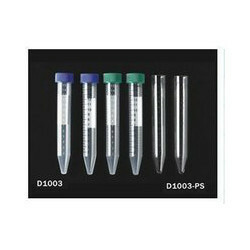 Capacity from 100ml to 1000ml with socket. 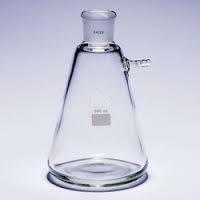 We manufacture SSGW Brand Conical Flask Erlenmeyer. 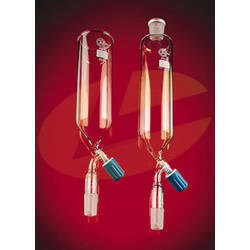 Capacity from 25 ml to 2000ml with socket.